We pick up, store, and bring back your stuff–– all for less than self storage. We pick up your stuff. MakeSpace® storage experts will find the right space to fit your needs. See what you put in storage. 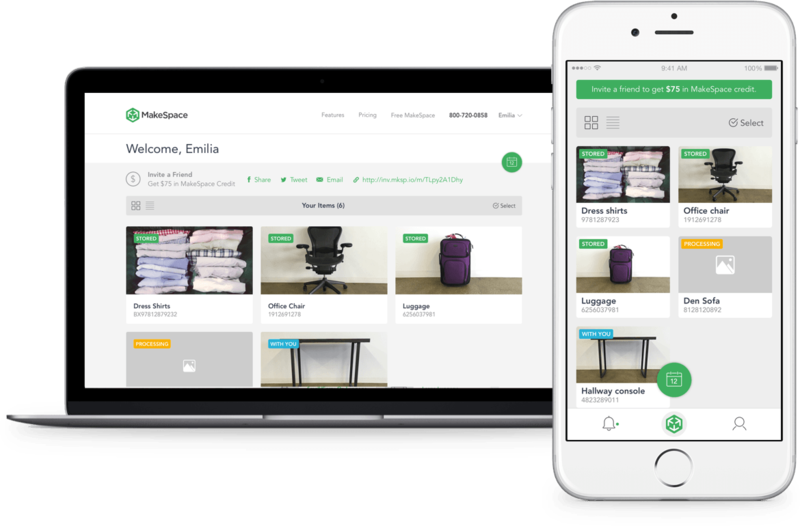 Manage all of your stuff in storage, easily schedule appointments and keep track of them, tip your team, and more.